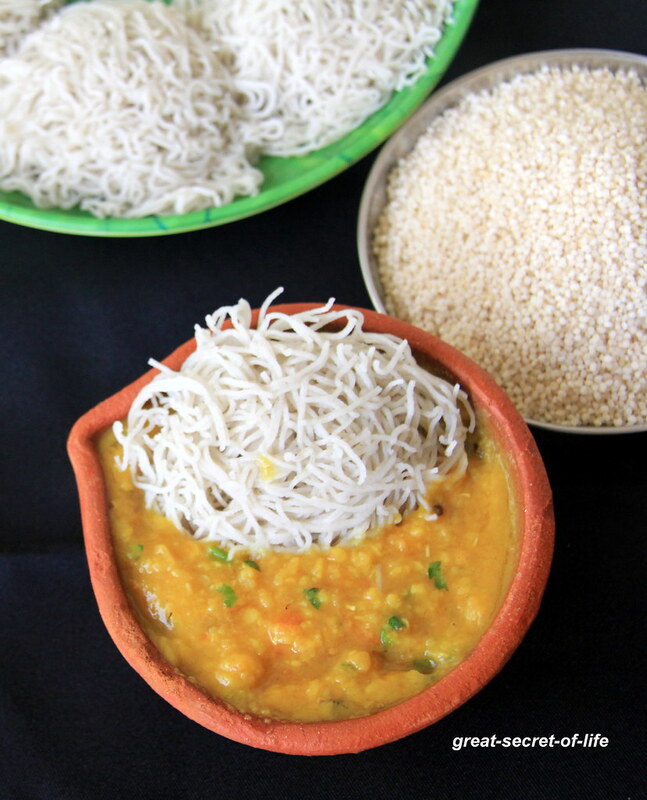 I try to include Millet as part of our menu at least 3 times a week. 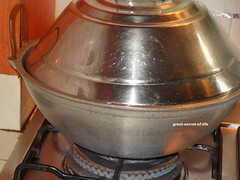 In my last trip to India I basically got all the millet roasted and made powder by giving it in mills. I have been trying different things with it. 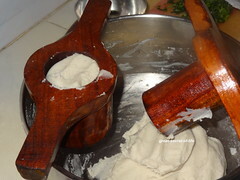 It really turns out to be great option for replacing rice flour in most traditional rice flour dishes. 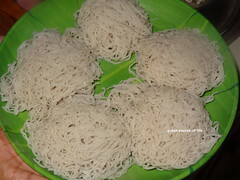 Idiyappam is one such dish. 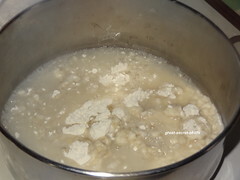 If you don't have flour you can dry roast the kodo millet and grind to powder in mixie / blender or food processor. 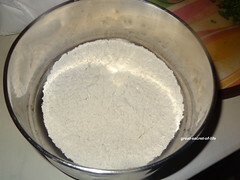 Sieve it to get smooth powder. 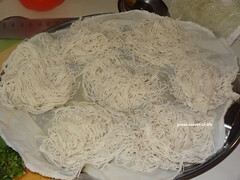 Use smooth powder for making idiyappam. 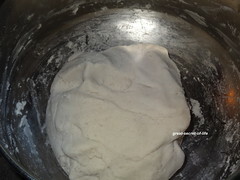 Knead the flour to make smooth dough. 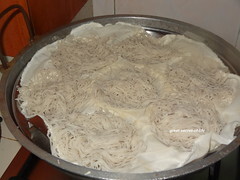 Now take idiyappam presser and grease it with oil. 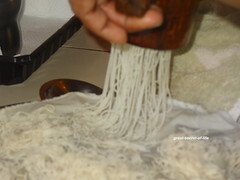 Healthy idiyappam.. looks very nice and soft..
Can you make roti/chapati from Varagu Flour ? Wow.! 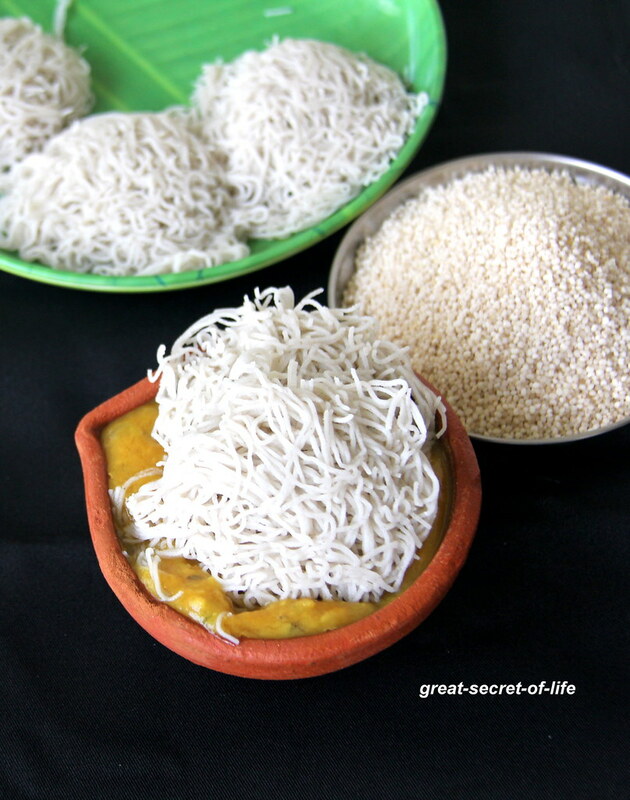 Definitely going to try this soon. 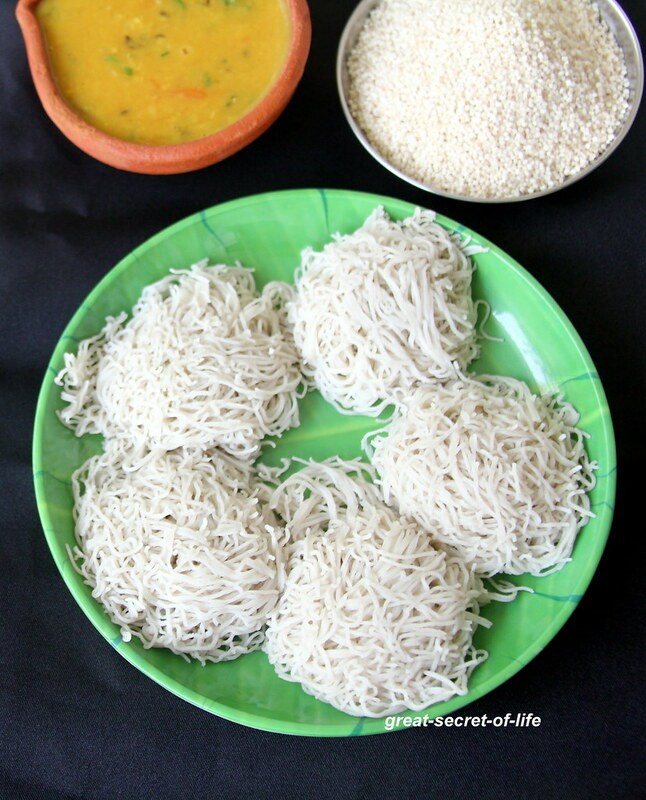 I have zero experience with millet based food. How do I know when it is sufficiently roasted? 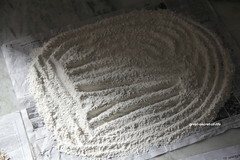 I'd prefer to prepare my own flour.